Dunnet Bay Distillers is a microdistillery located in Dunnet Bay on the coastline of the North Sea. 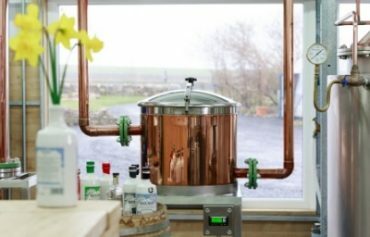 They produce award-winning Rock Rose Gin and Holy Grass Vodka. A new one-of-a-kind food education institution may be on the cards for Daylesford, led by restaurant doyenne Alla Wolf-Tasker (pictured). [Story written by Georgina Jerums for the Victorian Connection]. The Victorian Government will partner with Birchip Cropping Group and Longerenong College to deliver an agricultural skills and training initiative in the heart of the Wimmera. 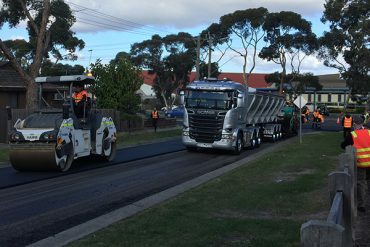 Soft plastics from plastic bags and packaging and glass bottle equivalents will be diverted from landfill to construct a Victorian road in an Australian-first trial. Are you or someone you know working on a food or agriculture business idea or start-up? 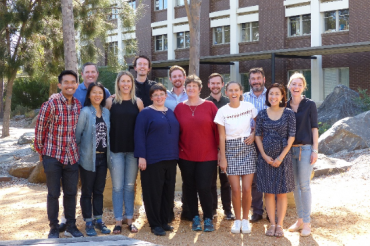 Rocket Seeder’s next 14-week start-up accelerator program – Spring Crop 18 – will run from 27 August to 26 November. Applications are open until 12 August. Onecrop staff accept the winners cheque in Singapore on 23 May 2018. Food Innovation Network’s Community of Practice member, Will Taing, from Beanstalk AgTech, contributed this article. 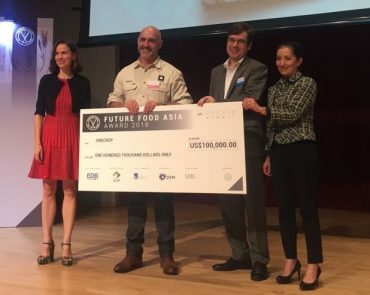 Australia’s AgTech start-up ‘Onecrop’ has won the US$100,000 Future Food Asia Award for 2018. Patrick Watson – Founder and Managing Director of Tarn Food Consulting, and a member of the Food Innovation Network’s Community of Practice – attended the fourth Seeds&Chips – the Global Food Innovation Summit in Milan, Italy, from 7 -10 May 2018. Here Patrick shares his observations and a day-by-day summary of the 2018 Summit. Photo copyrighted to Rocket Seeder Limited. 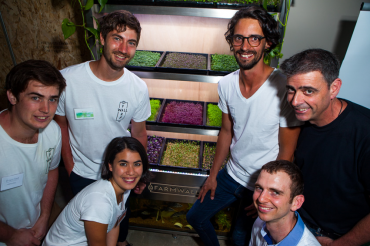 The Rocket Seeder Autumn Crop 18 comprises 10 great new food and agriculture startups. We introduced readers to three of them back in April. 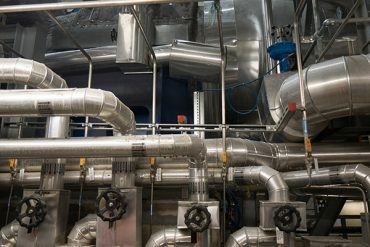 Victorian Government statutory authority Metropolitan Waste and Resource Recovery Group lays out its vision for the future of alternative waste treatment in Melbourne, providing updates on its progress. Metropolitan Melbourne’s booming population offers both a challenge and opportunity for how the city manages its waste in the future. Monash Food Innovation Centre is hosting a star-studded Food Network Expo at Monash Clayton on Tuesday 5 June 2018. The exhibition is for everyone interested in the food business looking to upskill and network. Connect and consult with a range of exhibitors on topics including sensory evaluation of food quality and preference, entrepreneurship, country of origin labelling and branding.